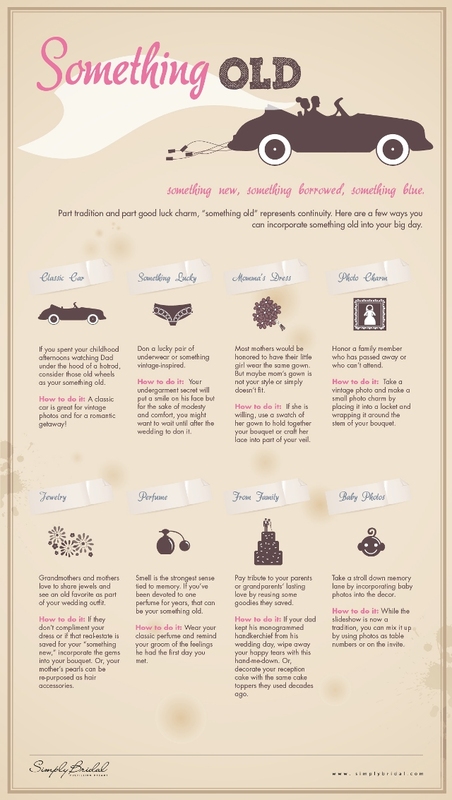 Our friends over at Simply Bridal shared with us this wonderful infographic on how to incorporate "something old" to your wedding. But what I love about this infographic is that it's not traditional per se. There are a lot of modern ideas here on how to update this so-called rule/superstition so that you guys can be more creative about it. Enjoy!